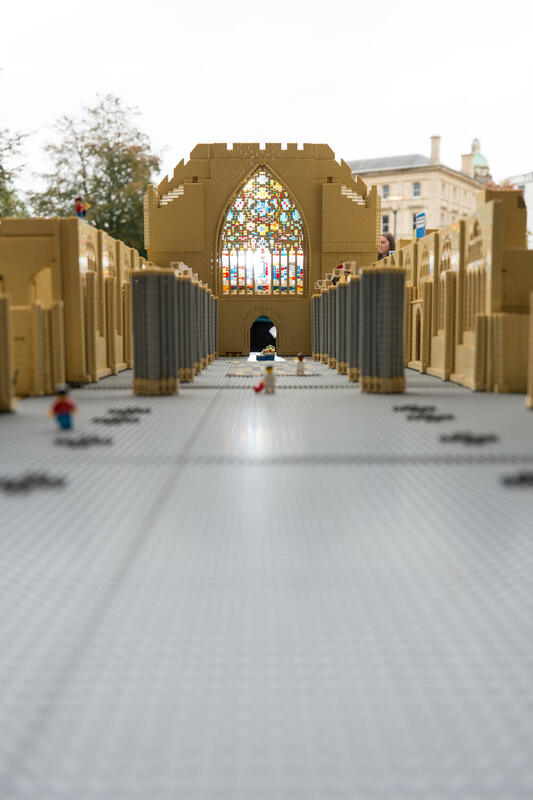 The Big LEGO® Build is an exciting project to help members of the project discover and engage with the challenges of maintaining the ‘fabric’ (buildings) at Exeter Cathedral. 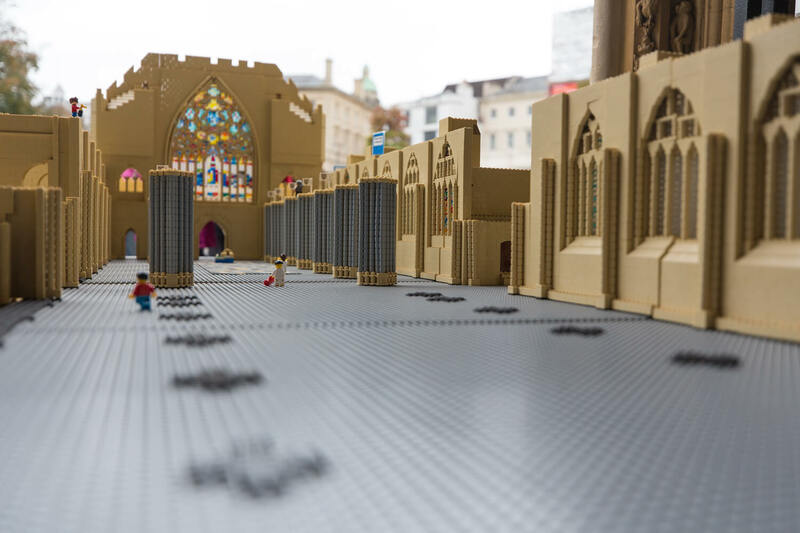 Thanks to donations from people like you, we have already made progress towards building a 300,000 piece model of the Cathedral from LEGO bricks. 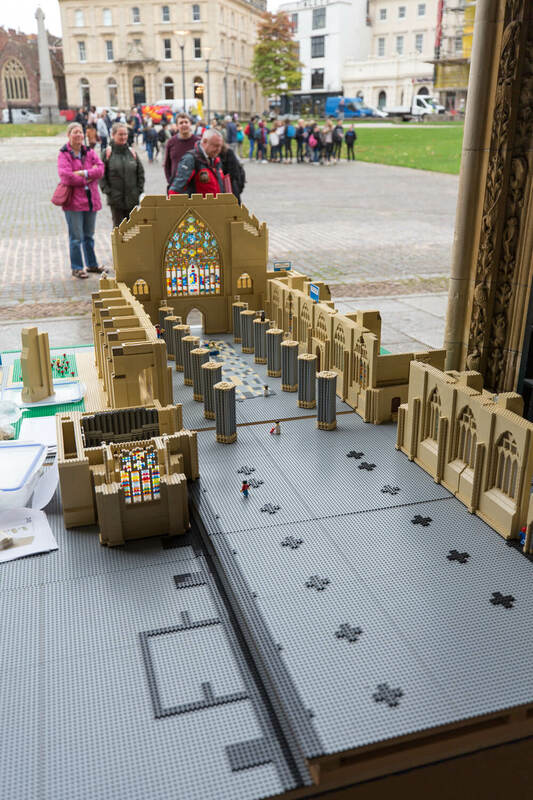 Visitors to the Cathedral can add bricks to the model themselves. All we ask is that you donate £1 for every brick you would like to place. 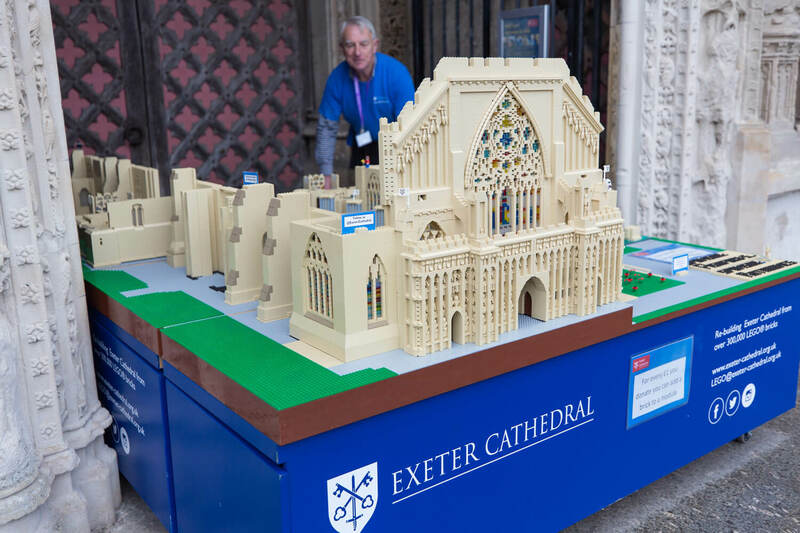 Are you outgoing, passionate about Exeter Cathedral and a fan of the Big LEGO Build? If you can spare a few hours a week volunteering on the ‘build’ then we’d love to hear from you. Can’t make it to Exeter? If you can’t visit the model in person, then why not donate to the project online? We’ll then ask our team of volunteers to add the bricks on your behalf. You can also text LEGO17 £5 to 70070 to donate £5 to the project.